Add purpose to your summer! Bates offers many opportunities for you to make the most of your summer, from challenging research experiences and life-changing community engagement projects to exciting internships and international travel fellowships. Bates offers grants, fellowships and internships designed to enrich your academic program with real-world experience. 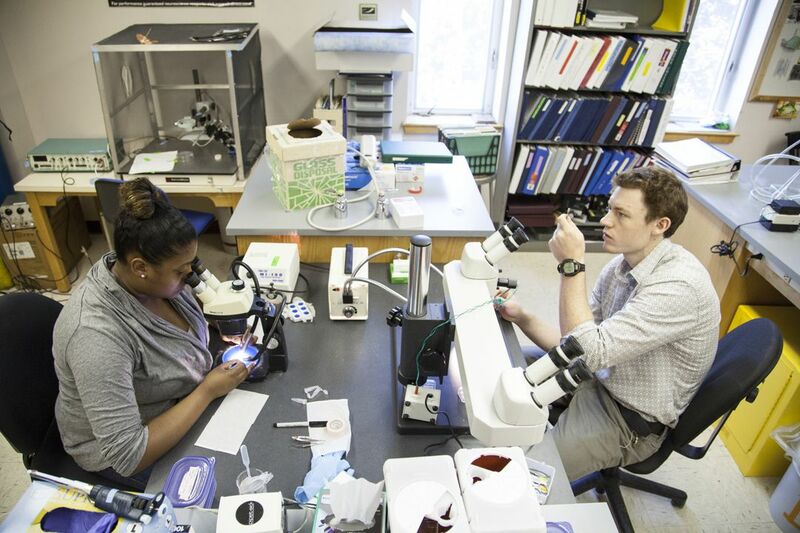 Click on the program links below to connect to our Bates-specific funded opportunities. In addition, check Handshake for hundreds more summer employment and internship listings. Join a faculty research team or design your own project. Conduct research at Bates or another institution. Contribute new knowledge and develop as a scholar. Get started on your thesis. Artists and performers? We fund time for your artistic production, too! Whether you are working hands-on with residents of Lewiston-Auburn, contributing to policy development for national nonprofits, or engaged in work on behalf of communities abroad, you will learn a lot, expand your world view, and you’ll make a difference. Develop skills and explore career paths through the Purposeful Work Internship Program. This is your chance to delve into internships in healthcare, the arts, research, business, education, and many other sectors here in Maine and across the country. Apply for a Bates Environmental Internship to experience the complexities of environmental work. Immerse yourself in Asian culture and work through the Bates in Asia program. Find out which work works for you. Phillips Fellowships take you to new cultural contexts for research, community engagement, career exploration or the arts. Explore the meaning of your world through Otis Fellowships. Meet Japanese students and discover Japan with them in the Technos Week. See all summer funding application deadlines here.